Open: Wednesday through Friday 9 a.m. to 5 p.m. Saturday and Sunday 10 a.m. to 6 p.m. Closed Mondays and Tuesdays. Admission: $9 ($1 discount for members of AAA, AAM, KQED, and Military). Seniors 55 and older and students with I.D. : $7. Children ages 5 – 10 are $5. Children under 5 are free. 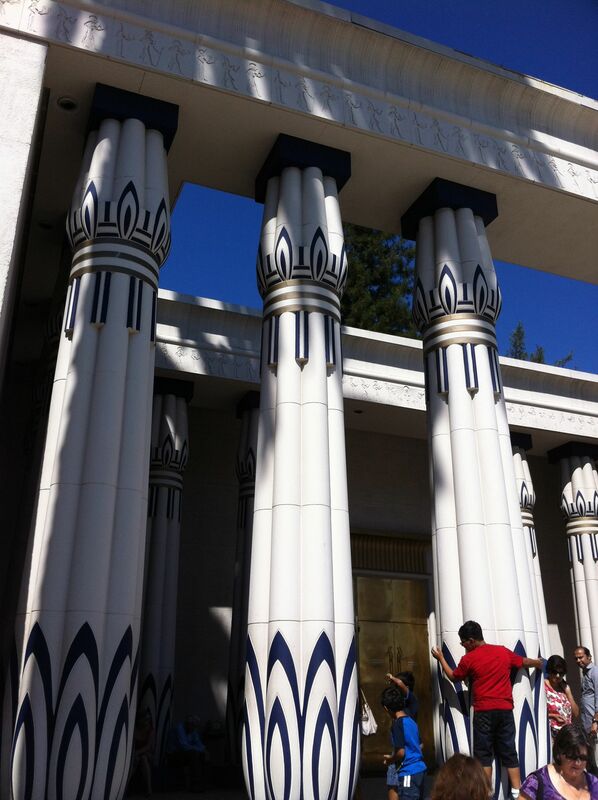 San Jose, California’s Rosicrucian Egyptian Museum is housed in a breathtaking replica of the temple of Amon at Karnak, complete with a row of sphinxlike rams leading to its front steps. The museum’s website claims it is the only Egyptian-style building in the world to house Egyptian artifacts. Even the Egyptian Museum in Cairo is a modern Western-style building. The Rosicrucian Egyptian Museum has the largest collection of Egyptian artifacts on exhibit west of the Mississippi. Over 4000 pieces are on display. 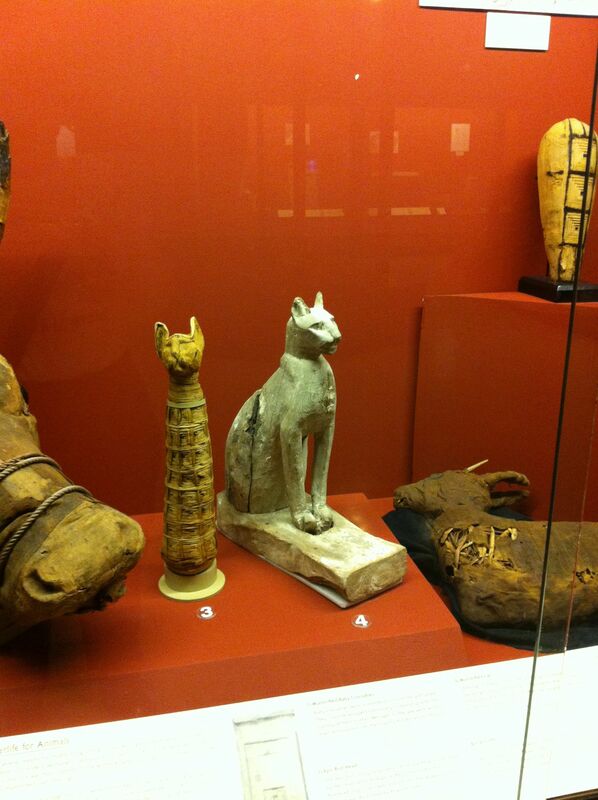 Among those items – charms, musical instruments, toys, and other everyday items – lay 4 human mummies. With the help of Stanford University and Silicon Graphics, among others, the Rosicrucian Egyptian Museum made detailed high-res scans of a 2000-year-old mummy without disturbing her wrappings. She turned out to be a girl, no more than five years old, who belonged to an affluent family. Since her mummy shows no signs of disease, researchers believe she died unexpectedly. The Museum nicknamed her Sherit, which means “little one” in Egyptian. The examination process is shown on a video near her mummy, which rests in a glass case. The museum also contains a life-sized walk-through replica of a rock-cut tomb beneath a pyramid. The tomb is open only for guided tours, but it gives a good sense of what it’s like to wedge into the secret, sacred space, surrounded by murals that depict the life and afterlife of the tomb’s occupant. In this case, the tomb waits empty, as if looted. (An interesting choice, since the names – and provenance – of the mummies in the museum’s collection are not always known.) Since the mummy cases stand just outside, you can assemble the pieces in your mind. Also on display are mummified domestic cats, several species of birds, baby crocodiles, a baboon, and the head of a sacred bull. The AMORC (the Ancient and Mystical Order Rosae Crucis or Rosy Cross) is the American incarnation of a mystery school that traces its roots back to ancient Egypt, although the fraternity as such descends more directly from a possibly mythical Christian Rosenkreutz in the Germany of the late middle ages. Rosicrucian practices include spiritual alchemy and meditation, without any overt religion involved. At any rate, the AMORC was founded in the US in 1915 by Dr. H. Spencer Lewis. Lewis then came west and established the Rosicrucian Park in San Jose. His son ran the organization after his father’s death and oversaw the expansion of the order’s public museum. The museum has been rebuilt several times over the years, as it outgrew its previous space. The current museum, purpose-built to house artifacts collected by members of the order, opened in 1966. Famous modern Rosicrucians have included Walt Disney and Gene Roddenberry. The Order also claims Isaac Newton, Leonardo da Vinci, Dante (although that would have been a stretch from Germany in 1313 to Florence in 1321, when Dante died), Benjamin Franklin, Thomas Jefferson, and Napoleon. It’s related to the Masonic Order, which was founded after Rosicrucianism and includes a level called the Rose Cross, and to the Temple of the Golden Dawn, which conducted spiritual warfare against the Nazis in World War II. The AMORC now has a Facebook group and conducts their classes online. This entry was posted in Cemetery of the Week and tagged Egyptian mummies, human mummies, mummies, museum, Rosicrucian Egyptian Museum. Bookmark the permalink. Oh that’s so cool! I lived in Vermont for many years and the museum at the University of Vermont had a mummy. Sometimes I’d go to the museum just to see the mummy. Don’t quote me…..but I think it’s possible for humans in the United States to be mummified. Would you choose to be mummified if you could be? Very nice story. 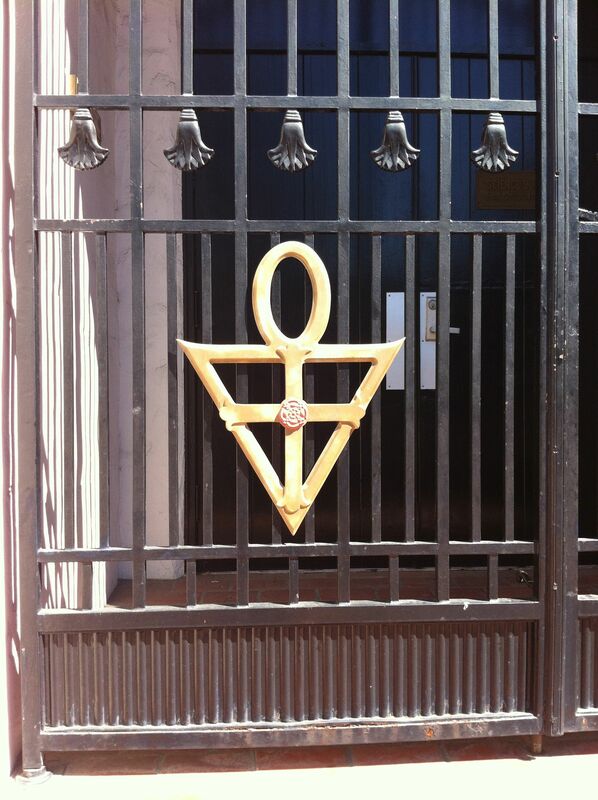 Being a member of AMORC here in San Jose I am very proud of our Museum, our work and being a Rosicrucian. The Rosicrucian Egyptian Museum and Park is really something not to be missed. The buildings take you back to a time when things were simple and peaceful. The Mummies in the collection are so fascination to just stand and look at, wondering who they were and what they were like, what they sounded like and the amazing things they had witnessed when they were alive walking this earth. 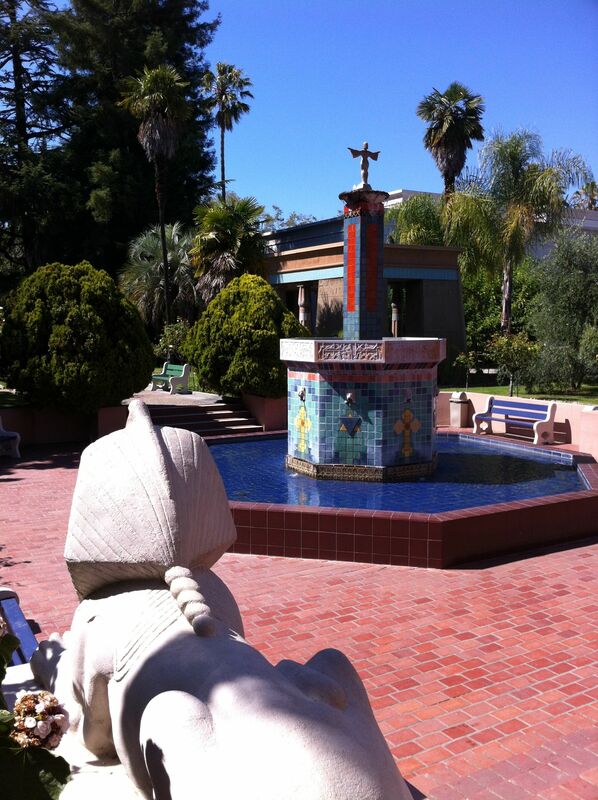 The Rosicrucian Park is worth the time and efforts to visit. It’s one of my favorite places! Thanks for stopping by to comment, Eric.